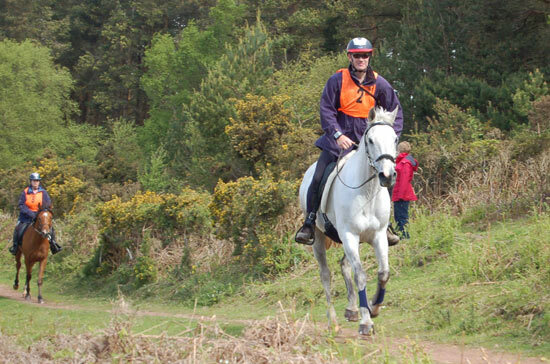 Several new classes have been added to this year’s edition of the famous Golden Horseshoe Ride, taking place on Exmoor from May 12 to 14. Following on from the success of Britain’s para-equestrians at the 2012 London Paralympics, this year’s ride will host an invitation only para class, with some high profile para riders set to take part or attend the event to offer their support. New competitive classes for 2013 include the Exmoor Extra (120km over three days), the Exmoor 40 (40km in one day) and the Exmoor Novice (40km in one day). Advanced riders can choose from the Exmoor Experience (80km over two days), the Exmoor Stag (120km over two days), the Exmoor Eighty (80km in one day) and of course the famous Golden Horseshoe (160km over two days). All these classes are open to para riders, too, making this year’s event the most exciting to date. “I’m really thrilled with how plans are proceeding for this year’s event and I’m delighted to welcome some high-profile para riders along,” said organiser Barbara Wigley. Last year’s persistent rain failed to prevent Horseshoe from going ahead and this year will be no different. “Of course we’re hoping the weather will be kinder to us this year,” Wigley said.